The Game Awards 2018 ceremony is hours away, yet there are still hints and teases emerging about what to expect. The latest bit of news, however, concerns what viewers shouldn’t anticipate to see during the ceremony. Hideo Kojima says he will not be attending the awards show this year. Kojima shared the news on his personal Twitter account when responding to Geoff Keighley, The Game Awards’ executive producer. In the tweet below, Kojima congratulates Keighley on the show, then apologizes for his supposed absence. Because Kojima is known for crafty red herrings, fans of his may find it hard to believe he won’t make a surprise appearance. However, there’s no evidence that suggests he’ll show up, either. Kojima’s upcoming title, Death Stranding, isn’t on the list of nominees. Furthermore, Kojima is not listed among the guests confirmed for the ceremony. 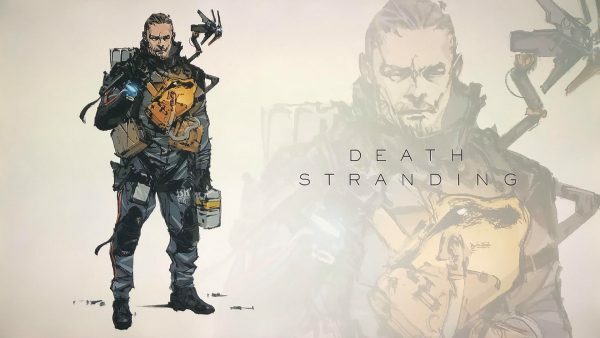 Whether Kojima appears or not, there’s still a question if more Death Stranding will be featured during the show. In both 2016 and 2017, The Game Awards premiered cinematic trailers for Death Stranding. 2016 was the year in which Mads Mikkelsen and Guillermo del Toro were revealed as part of Kojima’s latest project. Meanwhile, the 2017 ceremony is responsible for the ‘thumbs up baby’ meme. Surely, Kojima and Keighley have another Death Stranding-related gem is in store for fans, even if the former is saying he won’t be present. The Game Awards premiere tonight at 9pm ET.